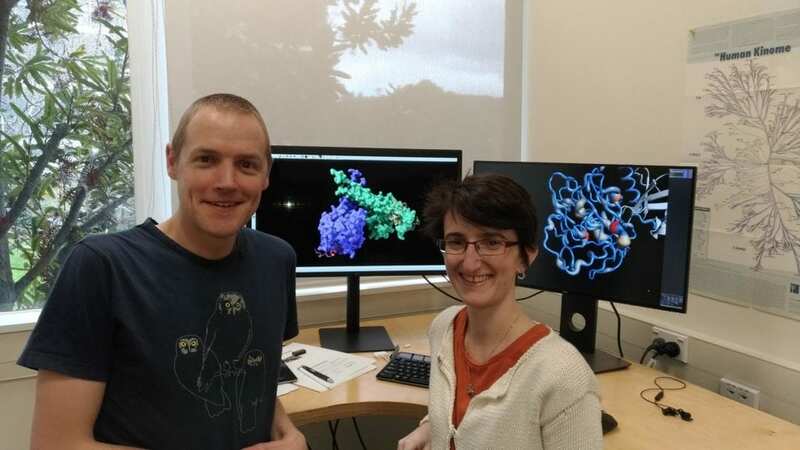 University of Otago scientists have unravelled the 3D structure of two proteins, potentially providing answers as to why some people may be at risk of developing specific cancers. In new findings published today in leading journal Nature Communications, the team of researchers led by the Department of Biochemistry's Dr Peter Mace, has solved the structure of two proteins – which in humans are called BAP1 and ASXL1 – that control DNA packaging. DNA is normally wrapped around proteins and packaged for efficient storage and to control which genes are active. Many proteins help to manage this packaging process and when it is disrupted, cancer can occur. Dr Mace explains that mutations in these proteins occur in many different cancers including melanomas, mesothelioma, renal cancers and leukaemia. BAP1 mutations are particularly common in mesothelioma, which is a cancer that is rare in the general population but is induced by asbestos exposure and is very hard to treat. The new structure helps to understand how the two proteins co-operate to remove DNA-packaging markers in normal cells and how their function is disrupted in tumours. "Continuing work will help us understand the network of changes that occur during cancer development," Dr Mace says. This is the first structure of these proteins to be captured, which the researchers achieved by working on fruit fly versions of the proteins that have the same important parts as the human proteins, but are slightly less complicated. "This is the best model we currently have for how the human proteins work," Dr Mace explains. "The next step is to fully understand the added complexity of the human proteins." The lead author of the work is Dr Martina Foglizzo a Postdoctoral Fellow in the Mace Lab at the University of Otago with collaborators from the University of Canterbury and the Walter and Eliza Hall Institute of Medical Research, Melbourne. Access to high-intensity X-rays at the Australian Synchrotron was essential for several aspects of the work and was supported through the New Zealand Synchrotron Group. A Rutherford Discovery Fellowship and a research grant from the University of Otago supported early stages of the research, which is now funded by the Health Research Council of New Zealand.